Several factors probably went into why many have picked Nebraska to finish 1st in the Big 12 North. The resurgence of the running game with Roy Helu and Quentin Castille behind a strong offensive line is certainly up there as well as a dominating defensive line loaded with NFL talent that will demand double teams from suspect offensive lines. However, one of the biggest reasons why I think Nebraska will be all alone at the top of the division is in the title of this post and is often overlooked. I’ve mentioned this several times previously and I promised I’d elaborate. 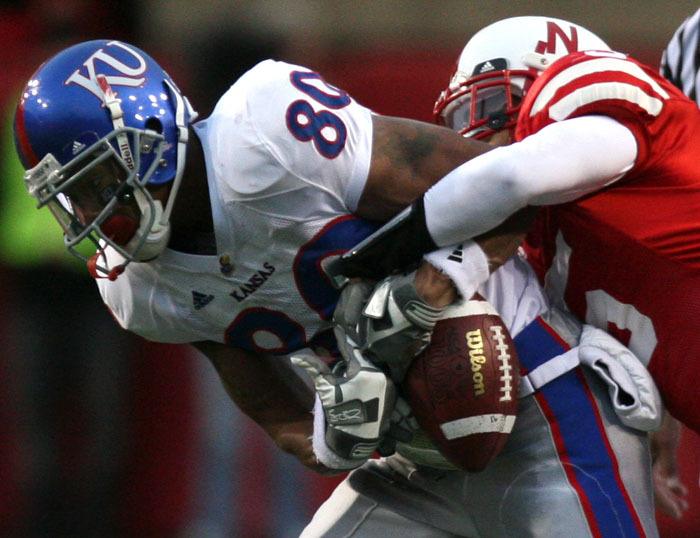 Offensively in 2008, Nebraska ranked 93rd in turnovers lost with 28. The Huskers were 42nd in interceptions thrown with 11 and 110th in fumbles lost with 17. Horrid. Defensively in 2008, Nebraska ranked 97th in turnovers gained with 17. The Huskers were 59th in passes intercepted with 12 and 111th in fumbles recovered with 5. More horrid. Group the two units together and Nebraska was 107th in turnover margin with -11. Why is this important for 2009 you ask? Well, let’s throw these numbers into one of Phil Steele‘s magnificent probability equations from the Orlando Sentinel and his 2009 College Preview magazine to see what we come up with. Basically, here’s the gist of it. Teams that have a positive double-digit turnover ratio the previous year rarely improve their record the following year and teams that have a negative double-digit turnover ratio (i.e. Nebraska -11) typically improve their record the following year. Since 1996, of the 235 teams that had a positive double-digit turnover ratio, only 54 of those teams improved their record the following year. That’s only 23%. And in that same time, of the 191 teams that had a negative double-digit turnover ratio, 130 of them had a better record the following year. That’s 68%. In fact, if you want to count teams that had the exact same record or better the following year, that number shoots up to 80%. In other words, there’s an 80% chance that Nebraska will be at least 9-4 in 2009. There’s a 68% chance that Nebraska will be 10-3 or better in 2009. Compare the 2007 and 2008 Nebraska Cornhuskers. In 2007, Nebraska had a -17 turnover ratio. And as bad as it sounds, Nebraska’s ‘improvement’ in 2008 to a -11 turnover ratio (+6) helped them to go from a 5-7 record to a 9-4 record. In fact, when Phil Steele took the 13 worst teams in turnover ratio in 2007 and followed them through the 2008 season, he found that 9 of the teams improved their record and 1 had the same record. Some of those teams include Nebraska, Ole Miss, Minnesota, and Northern Illinois – all teams with a losing record in 2007 that went to a bowl game in 2008. There are many examples from year to year with all of the results consistent. The bottom line is that turnover margin matters and matters a great deal. The same could also hold true for teams like Oklahoma and Virginia Tech. But, how about teams like Baylor, Texas Tech, and Arkansas State? Not so much. If you look up and down the Husker roster for 2009, it’s almost impossible to imagine the turnover margin getting worse. It’s almost certain that it won’t be. What’s going to have an obvious positive effect this season will be the talent and experience at running back, the offensive line, the defensive line, and the secondary. Less fumbles lost, more fumbles gained, and more passes intercepted for the defense are what’s going to come of that. What could have a negative effect is obviously Zac Lee and the youth at wide receiver. More interceptions is definitely not out of the realm of possibility. However, the greatest effect will be the fact that the coaches are in their second year and the system is in place. Make no mistake that Nebraska is light years ahead of any team in the Big 12 North defensively, which is because Bo Pelini is in a class by himself when it comes to coaching defense. It took Pelini one season to make this group the 2nd best in total defense in the Big 12. Nebraska finished second with 349 yards/game and Texas finished first with 343 yards/game. Defense wins championships. It’s that simple. Before the championship game vs. Oklahoma last season, the Gator defense ranked 8th in total defense, 4th in scoring defense, and 2nd in pass efficiency defense. More importantly and to get back to the theme of this post, Florida was 3rd in turnovers gained with 35 and was 4th in turnovers lost with 13. That’s good for 2nd best in turnover margin in 2008 and a National Championship. Improving on the -11 turnover margin in 2009 should result in at least another Big 12 North Championship for Nebraska. The numbers certainly support it. You are currently browsing the archives for the Turnovers category.